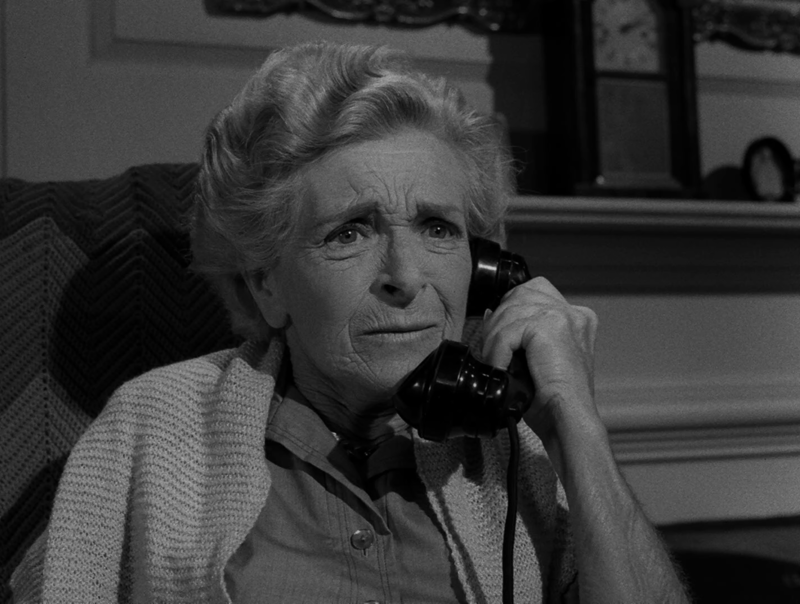 An elderly woman gets late night phone calls from a mysterious person with a disembodied voice. The person seems to know her but she cannot make out who the person is. Who is it? Why does he call only at night? Watch this one and the classic twist will throw you for a loop. Creepy and moody as hell. Also makes for a suspenseful and haunting episode which resonates much like the well done supernatural mystery thrillers of the 30’s and 40’s. A mis-treated, mis-understood bookworm (and bank teller) who loves to read, gets a chance to escape from his frantic and unrewarding reality. Will he forever have the time to retreat to his world of literature uninterrupted? It just may not be that simple. A killer (if somewhat sad) ending with a memorable and brilliant performance from TZ mainstay, Burgess Meredith. A backwoods frontier woman who lives alone in a rustic home gets visited by some little and aggressive “explorers” from a distant world, who rudely interrupt her quiet dinner. But they may have met their match when she struggles to protect her homestead. A fantastic emmy nominated performance from Agnes Moorehead and a killer reveal that you will never forget. A hard working man living in the fast lane gets a second chance to slow down and appreciate the things he’s forgotten and takes for granted. All by visiting where he grew up. Except, this isn’t quite the town he thought he left behind. Or is it? One of the most revered episodes with a touching story at it’s heart. 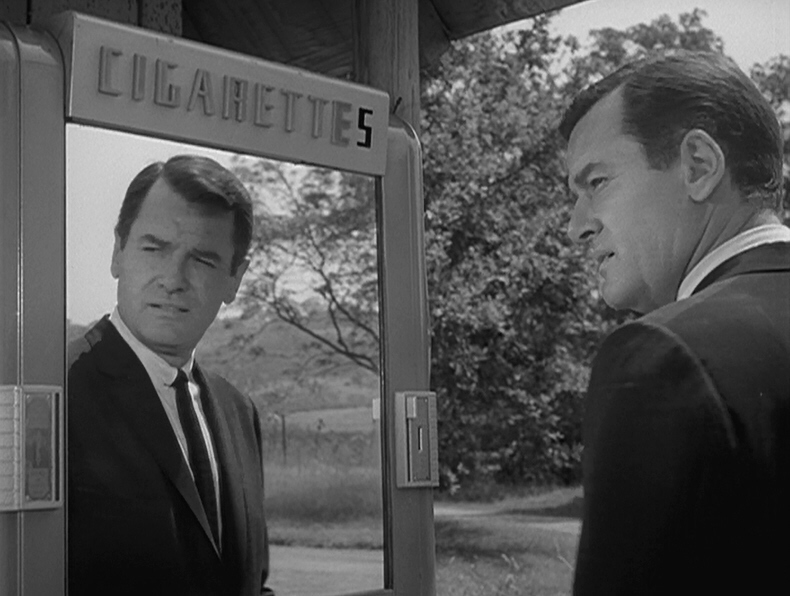 Gig Young’s performance is the soul of this episode. Judgement Night is a powerful and cautionary maritime story about karma (if you believe in that sort of thing), guilt, retribution and living in one’s personal hell. 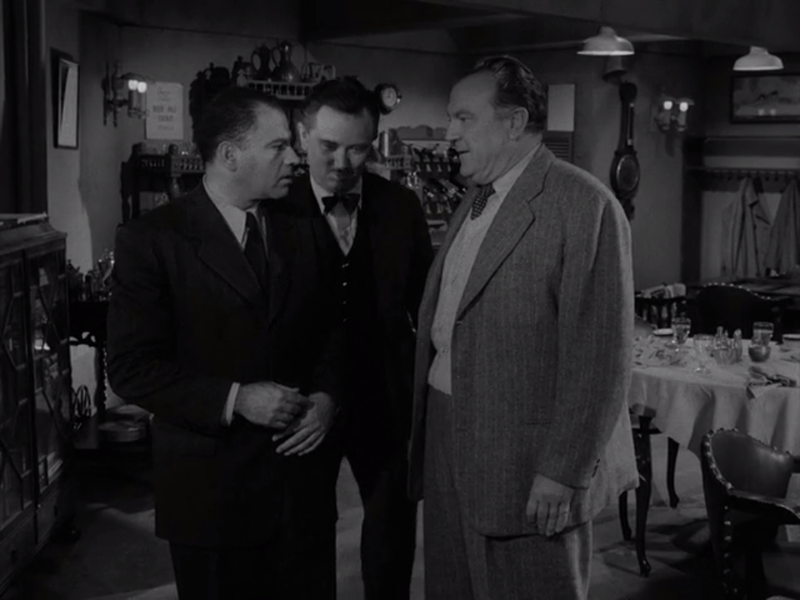 The stoic and hearty Nehemiah Persoff (Twins, Some Like It Hot) plays Carl Lanser, a passenger aboard a perpetually fog covered British Liner headed for the United States. This episode excels in establishing mood, confusion and doubt as Lanser tries to understand his purpose on the ship and unravel why he has cryptic and uneasy feelings of familiarity and danger. It is an effective tactic to build suspense and this Season One episode unwinds into a mystifying and frienzied conclusion that remains one of TZ’s best twists to date. Look out for a cameo appearance from a young James Franciscus (Beneath the Planet of the Apes, Naked City). The Hitch-Hiker is an all together different beast that predominates many other Season One episodes with a very prominent presence of danger, paranoia and oozes with a dream-like quality that provokes uneasiness, misgivings and undeniable suspicion. Inger Stevens brilliantly plays Nan Adams in this episode written by Serling, which was based on a radio play. As she makes her way back (not before blowing out a tire) to the west coast after a buying trip, Nan begins to see a dingy, suited man with a dusty hat at just about every intersection asking to be picked up and deliberately asking: “Going my way?” So, who is this guy? Why is he following Nan and how is he able to always be ahead of Nan on the road? 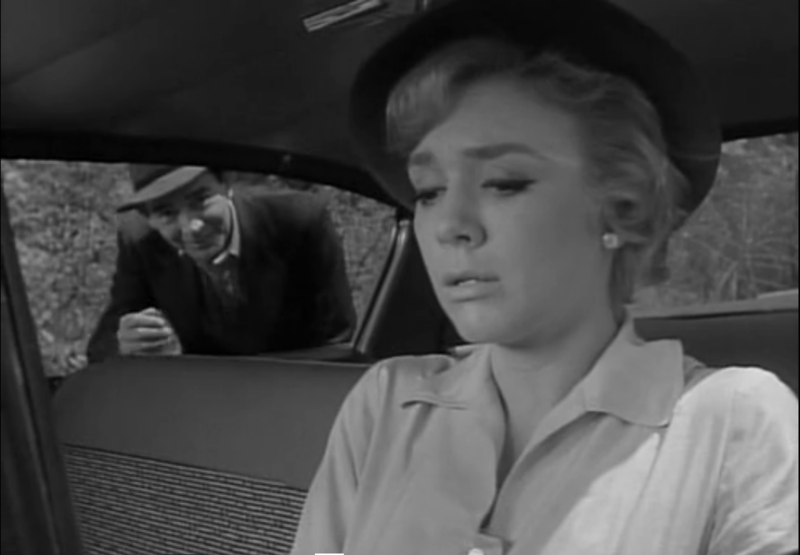 Serling kicks up the story in notches every time we see the hitch-hiker relentlessly trying to get Nan to pick him up. 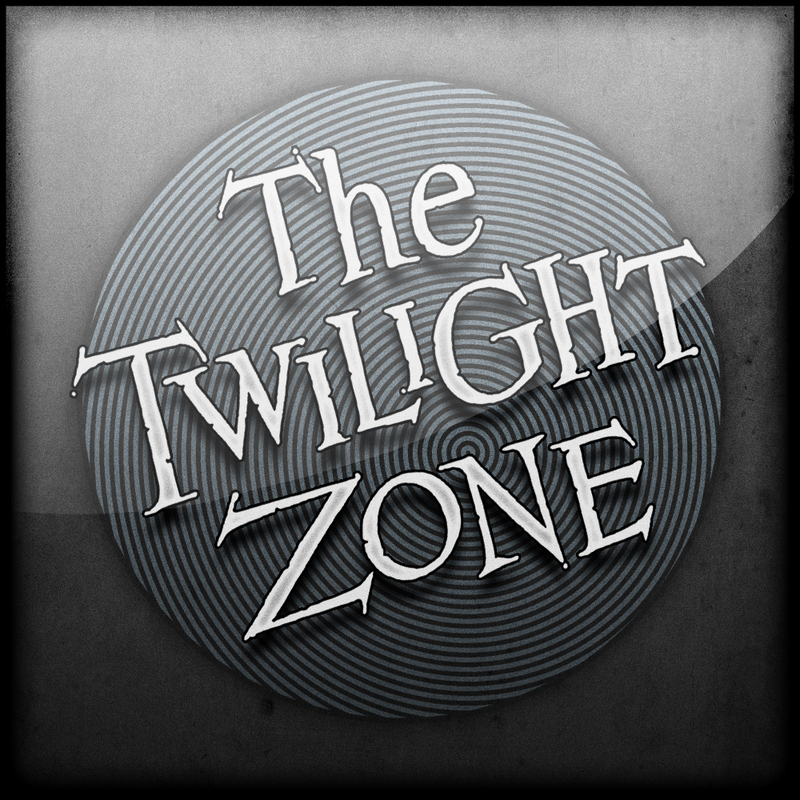 This episode is indeed another nightmarish encounter that Serling inundates with foreshadowing and trepidation. Nan’s arc, which also involves a U.S. Sailor looking for a ride as well, is sublime and provocative making the twist very significant and grounding the episode as one of my most revisited entries from Season One. Some brilliant episode choices there Vic! 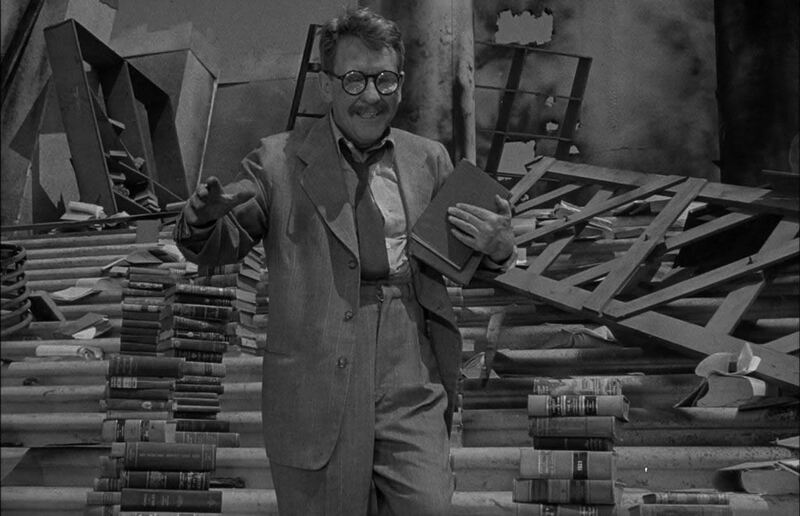 Time Enough at Last is one of my favourite Twilight Zone episodes, its such a great story, and Burgess Meredith is brilliant in it! I love reading TZ lists. You made some great choices here – can’t wait to read the rest! Cool list man! I think The Hitchhiker is pretty underrated at times. I used to skip over Judgement Night when it was on TV. But I finally watched saw how brilliant it is. Love this show; there are some real classics on here Vic. Nice one! Thanks for checking in buddy and have a great weekend! Long live TZ!! !